On a challenging autumnal day, 126 golfers braved the cool and damp conditions at Melton Mowbray Golf Club in professional Tony Westwood’s Pro’s Day. Teams of four took part in an am-am format competing to win the overall prize and the Jocelyn Westwood Memorial Trophy. Scoring was excellent, with the best two scores to count on each hole, as the top 10 teams all scored in excess of 86 stableford points. Competition was hard-fought with overall winners Alan Parkes, Eric Parkes, Russell Freeman, and David Stroud pipping runners up David Bailey, JP O’Reilly, Nigel Blunt, David Mckain after a back nine countback. There were nearest-the-pin prizes on all the par threes with Kathie Finn, Geoff Townsend, Sam Parker and Russell Freeman all hitting the target. The testing In the Bucket Challenge was successfully completed by only one golfer on the day, with Malcolm Farrow claiming the prize. The Best Mixed Team scored 80 points and included Jackie Fisher, Nick Mcdonald and Liz and Haydn Snow. And the winning ladies team of Janet Bentley, Margaret Smale, Margaret Samways and Glynis Breward carded 75 points. 1 Alan Parkes, Eric Parkes, Russell Freeman, David Stroud 89pts (on countback – back nine 46); 2 David Bailey, JP O’Reilly, Nigel Blunt, David Mckain 89pts (back nine 44); 3 Mike Catlin, Ben Catlin, John Harvey, Sue Hitchman 88pts (on countback – back nine 46); 4 Nick Baines, Mick Pollard, Tim Mortimer, Mick Ward 88pts (back nine 44). * Melton GC seniors had a disappointing end to their season as they lost their final three matches. The run began with a narrow 5-3 home defeat to a strong Beedles Lake side. Melton’s scoring pairs were Bob Luke and Dennis Dayman (2 and 1), David Bentley and Richard Faubert (4 and 3), and Richard Haines and Pat Lee (3 and 2). 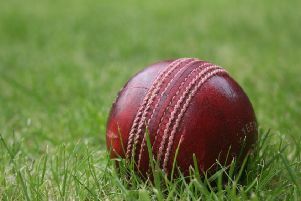 This was then followed by another narrow loss, three-and-a-half to two-and-a-half to Scraptoft last Thursday, a match played in very wet and windy conditions. Winning pairs were seniors captain Jerzy Schmidt and Richard Haines (1-up), John Squires and Richard Faubert (3 and 1), and Bob Purkis and Joe Carrington (half). The poor end to the season finished with a heavy 7-1 loss at Forest Hill. There were no excuses as the weather was good and the Melton team looked strong on paper, but the only points were halves from seniors captain Jerzy Schmidt and Vic Newham, and Bob Purkis with Joe Carrington. Over the season, Melton seniors played 21 matches, winning eight, losing seven and halving six.